Data from the U.S. Census Bureau indicated that the Puerto Rican population in Connecticut has fluctuated over the past 6 years. Connecticut ranked as the sixth state with the most Puerto Ricans in the United States (298,245). The Puerto Rican population in Connecticut rose from 252,972 in 2010 to 298,245 in 2016. 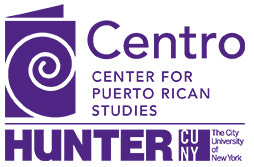 In 2016, Puerto Ricans accounted for 8.3 percent of the total population in Connecticut and 53 percent of the state’s Hispanic or Latino population making it the largest Latino-origin group in the state. Moreover, Latinos accounted for 15.7 percent of Connecticut’s population in 2016, up from 13.4 percent in 2010. Puerto Ricans were the largest group in Connecticut, followed by South Americans (15.3%), Mexicans (11%), Central Americans (8.3%), Dominicans (7.5%), Cubans (1.9%), and other Latinos (3%).